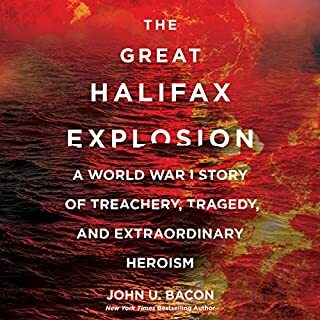 I grew up on the Canadian border, and though I’d heard of the Halifax explosion, I had no idea of the scope of its devastation. Bacon humanizes the victims and survivors, meticulously details the events leading up to the disaster, and creates a compelling narrative. Heller’s narration perfectly fits the story. Heartbreaking, compelling, inspiring, and highly recommended. 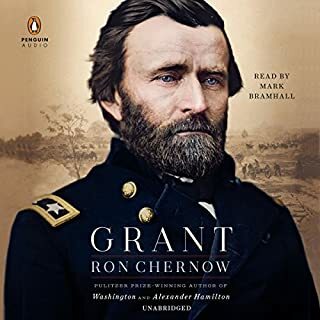 What I knew of Grant priot to listening to Chernow’s magnificent book - that he was a drunk, an anti-Semite, A bumbling leader, guilty of butchery on the battlefield and chicanery in the White House - was completely wrong. Grant is skilled leader, a humble man who battled demons, and mostly managed to overcome them. His enlightened approach to race relations is decades ahead of his time. Grant is more than a hero: he may be the most significant figure of 19th century America, and I’m including Abraham Lincoln. Mark Bramhall’s narration is engaging and altogether superb.